MARGO HANSEN is the author of the popular A Newly Weds Series. 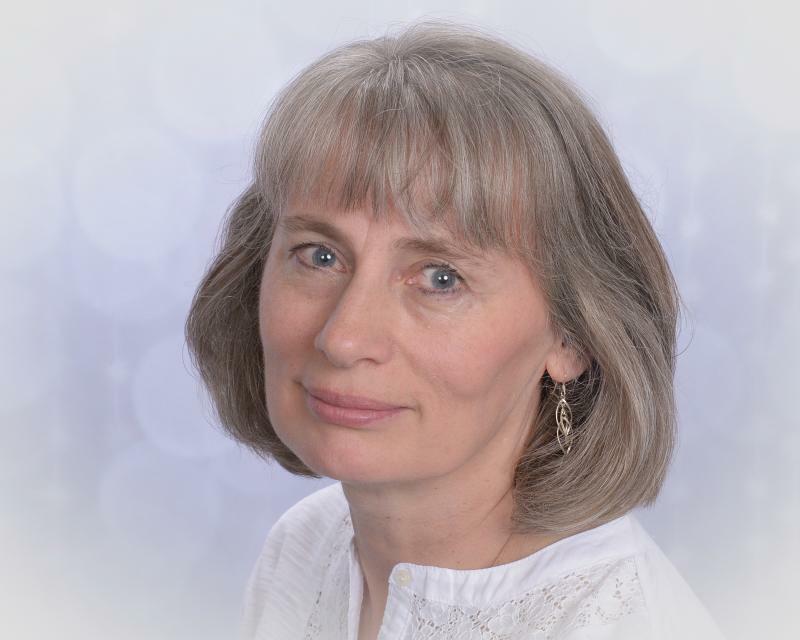 She loves writing about the north woods of Minnesota where she lives with her husband Bruce. Her greatest desire is to share the Gospel of God’s Grace with others through her stories. ﻿ Shanghaied, tortured, and beaten down, Keane Wheatly turns to a fellow prisoner for help. Together Keane and his friend Jake make their escape back to the Wheatly farm in Ulen, Minnesota, as far from an ocean as they can get. But adjusting to everyday life isn’t easy with the memories they both carry. Each day they rely more and more on God’s grace. ﻿ As Keane reacquaints himself with the farm, one day he hears a voice singing a hymn—a voice, sweeter than anything he has ever heard before. Each day he searches to learn who the singer is. Daniel’s heart started thumping wildly when he saw the knife in the man’s chest—not any knife—his knife. Daniel Dunn thought his life couldn’t get any worse. His beloved wife died giving birth to their only son and he was left to care for and feed his five children, but how could he do that when he needed to get back to the lumber camps to earn some money? Now this lumberjack’s murder was being pinned on him as well as the recent robberies in town. Why was he being framed? What would happen to his children if he was in jail? And why did the only person who seemed to believe in him have to be a preacher who dogged his steps and kept a running sermon going in his ear? Delany Dunn never forgot the words or the face of the impudent boy who spoke to her eight years ago. Perhaps it was her memory of him and the wink he gave her that kept her from being interested in the young men who wished to call on her. Only when the wealthy Blackmores showed up in town and she was face-to-face with Ben once more did she realize why she could never forget him. Ben Blackmore worked a season with one of his father's logging camps to better understand the business and thought he was rady to fill the management role his father had lined up for him, but two events in his life changed everything. First, a sky pilot led him to the Lord, and second, he met Delaney again. Ben and Delaney barely have time to become reacquainted when the town is stunned by a kidnapping. The Blackmores' youngest son is gone, and a ransome is demanded. But Delaney and her brother are also missing. Are they together? Who did this? And why? But Shawn wasn’t the only one who had struggles in life. The camp cook had a niece who worked with him and she was a mystery to the men. Why did she stay hidden away in the woods, working from sunup to sundown, never conversing with anyone? 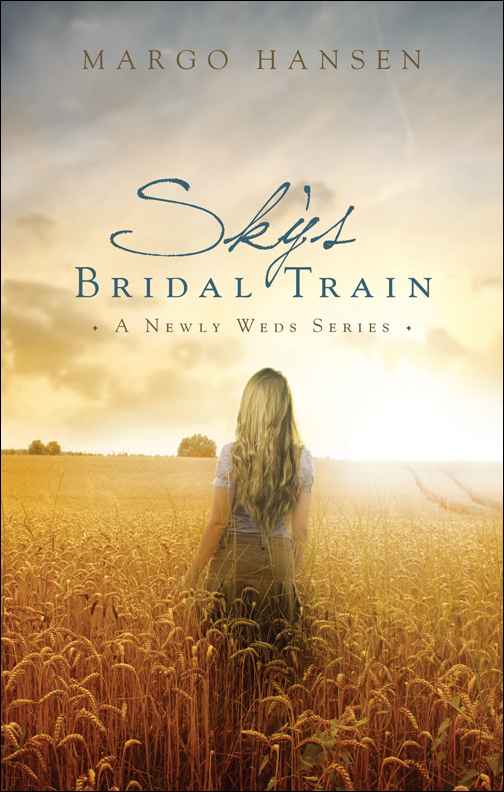 Set in the late 1800's, Sky's Bridal Train takes you back to a time when a wilderness was being settled and men who were staking claims and farming land needed wives but had no time to leave to go find them. One solution was to "order" a bride, and a wagon train full of women were about to arrive in Sand Creek; and Sky Hoffman was one of those brides. Not that she wanted to be a bride, but it was a way to get to northern Minnesota, the place her twin was supposed to have gone. Follow the journey of Sky Hoffman from England to America as she searches for her twin sister. Learn with her about God's love for her despite the dangers and hardships she encounters. Experience her joy as she discovers friendship and love along the way. Nine men from Sand Creek venture out to start a new town, much as their fathers had before them. And this next generation discovers that to do so they need to find themselves some wives. Tyler Newly has big plans for the new town. He envisions his lumber business booming and sees wealth and prestige in his future, so he wants nothing to do with the whole idea of advertising for brides. He'll choose his own wife and she'll be from a good family and share his ideals and dreams. Nevertheless, Tyler is "chosen" to go to Chicago to get the brides. Jade's father lost the family's money. Once a wealthy Chicago socialite, Jade follows God's leading and becomes a maid for an elderly friend. 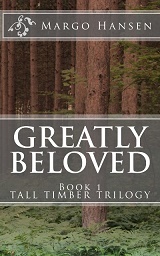 When a young lumberjack from Minnesota arrives for a visit, she becomes suspicious of his motives. Jade is shocked when she discovers Tyler's reason for being in Chicago and even more shocked when she finds herself traveling back to Minnesota with him. No one suspected a woman to do a man’s job. Nineteen-year-old Emma Newly’s life is so predictable, and teaching school in Sand Creek just doesn’t satisfy her longing for excitement. Then news arrives about an accident involving her father, and suddenly Emma finds herself in an adventure that takes her across Minnesota toBoston on an undercover mission. With her is a man she has just met, a man who is a mystery to her, a man to whom she has pledged her life. But can she trust him? Simon Chase doesn’t need the complication of having a woman around when he’s on a case, especially a woman with a temper. But together they concoct a plan to thwart their pursuers and protect those they love. Can they keep their secret hidden long enough to keep safe? And who is Sophia Barlow, the woman who keeps showing up in the most unexpected places? Emma’s Marriage Secret is the third book in A Newly Weds Series. It follows the second generation of the Newly family in a romantic mystery novel that will keep you guessing until the final secret is revealed. Discover with Emma and Simon how God takes uncertainties in life and works them out for good. They want a Norwegian wife for their son Nels. Her aunt’s letter is a command that Irena must obey. Travel across the ocean to America, where there’s a husband and a home waiting for her. So Irena sets off filled with trepidation and uncertainty but also filled with hope— hope that she can leave behind her life of loneliness and servitude and finally have a place she can call her own. But she finally arrives in Minnesota to a grouchy mother-in-law and a husband who doesn’t even want her. Rex Newly has watched his siblings get married one by one and knows his turn will come eventually, but he’s in no hurry. He wants to take his time and be sure of God’s leading for his life. So how is it that he suddenly finds himself engaged to be wed and building a house for his prospective bride? 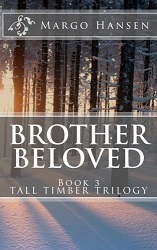 Irena’s Bond of Matrimony is Margo Hansen’s fourth book in her series about romance and adventure set in the north woods of Minnesota. As Irena continues her search for belonging, Rex considers where God is leading him. Both will learn that the paths they start out on may not turn where they expected, but that they ultimately arrive at the destination set by God. Most brides view their weddings as a dream come true. Mattie Morrison wishes her wedding was only a dream. When Mattie awakes from a deep sleep, she’s in for quite a surprise. While she was sleeping, an irate preacher had done what he considered his duty and married her off to some stranger. Now Mattie must live with the consequences. She does not learn the identity of her husband until she runs into him in Sand Creek. Mattie recognizes Abel Newly. Abel, on the other hand, has no idea Mattie is the bride he was tricked into marrying. Instead, he’s eager to marry Delphinia Digby and to begin setting up his medical practice. He considers the wedding ceremony an elaborate hoax. Abel’s seemingly single state concerns the townspeople. They’re not at all sure about having an unmarried doctor tend to their womenfolk. More than once, Abel calls upon Mattie to lend a hand at the doctor’s office. But what is it about her that seems so familiar? 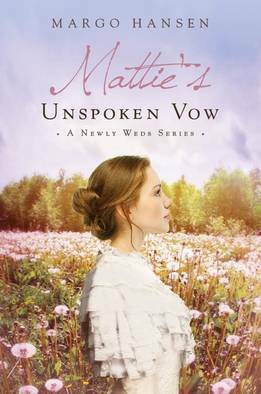 Margo Hansen’s fifth book, Mattie’s Unspoken Vow, completes her series about the Newly family and sets the stage once again for romance, mystery, and adventure in the north. As Mattie and Abel come face-to-face with town strife, an outlaw gang intent on robbing the bank, and finally with each other, they learn that God’s ways are not always their ways, but he ultimately knows best.